What a year 2018 is turning out to be; the new studio has been serving me very well with some excellent new painting developments coming out of the dojo and some great new connections being made through studio visits and email enquiries. Having placed much more focus on my painting practice this year, compared with last years regular edition releases, I’ve seen a really solid thread of evolutions in the abstract paintings coming out of the studio. With such a fast paced production due to a solid work ethic, it’s been a fantastic flurry of exciting new additions and nuanced expansion. Alongside the interior studio developments I managed to combine a small series of two pieces, for an outdoor painting in Liverpool, UK. 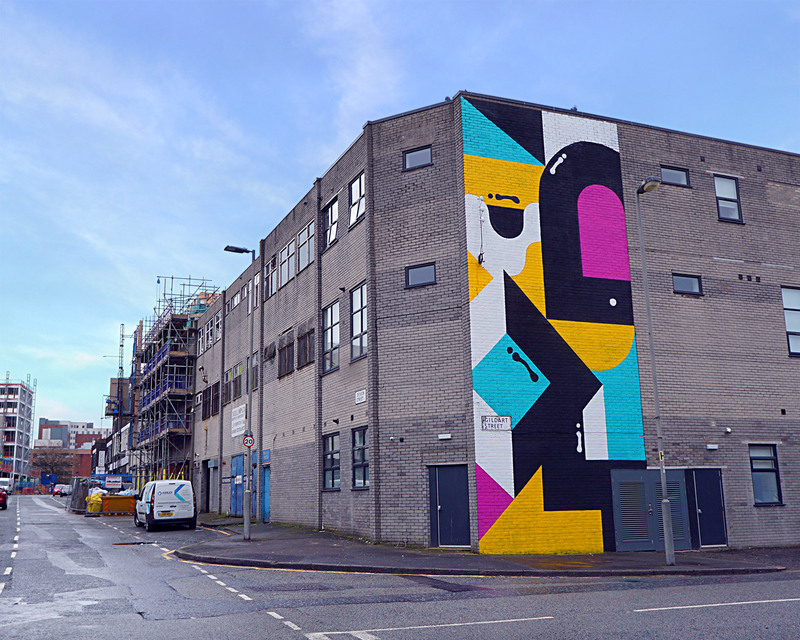 My good friends over at Zap Liverpool kindly invited me to be the first artist to produce a public mural painting for their recently passed Contrast Mural Festival. The weather certainly wasn’t on side for the short window I had to produce the painting but with the enthusiasm and creative wit of my cracking assistant Jamie Krooks we blitzed it out. 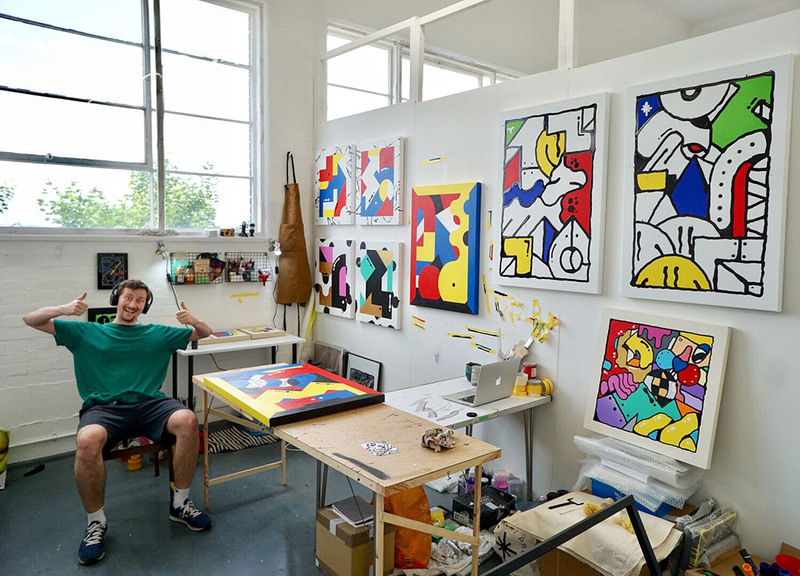 Oh, and while I have you here, it would be criminal not to show you all the studio process video I put together of the makings of these paintings.. Growing up I was always quite good at throwing things; stones, snowballs, water balloons, eggs.. etc.. 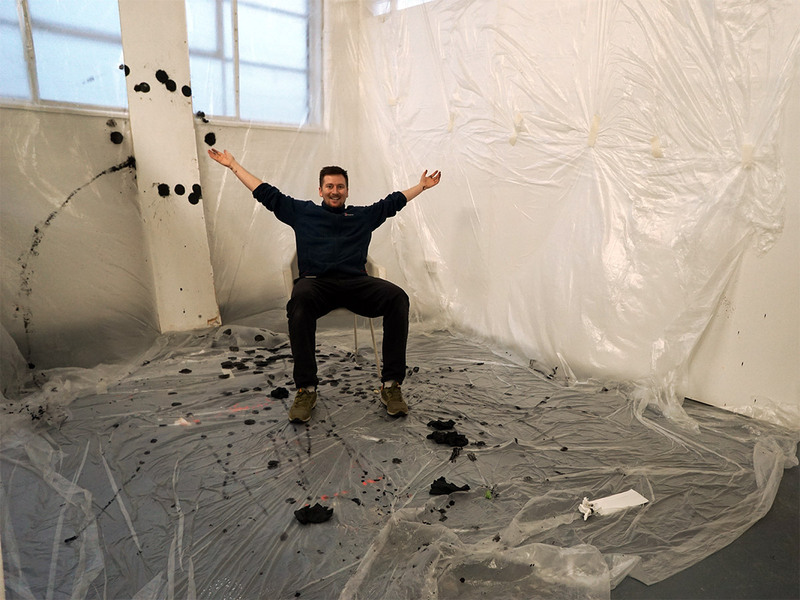 I wondered if I still had some of these skills as an adult – so what better way to find out than to set a task to produce a ‘polka-dotted‘ effect by launching sponge balls dipped in watery black paint!! What a blast! While I set off with high hopes of hitting the mark at every throw, I didn’t quite pan out this way. In fact, and rather interestingly, the times where my aim was a little off – the ball seemed to autonomously get directed towards the same area of the canvas, repetitively. Still, it worked out a treat and was a thrill to do. The way I see it, if it’s not enjoyable, it’s probably not the right way of doing it! 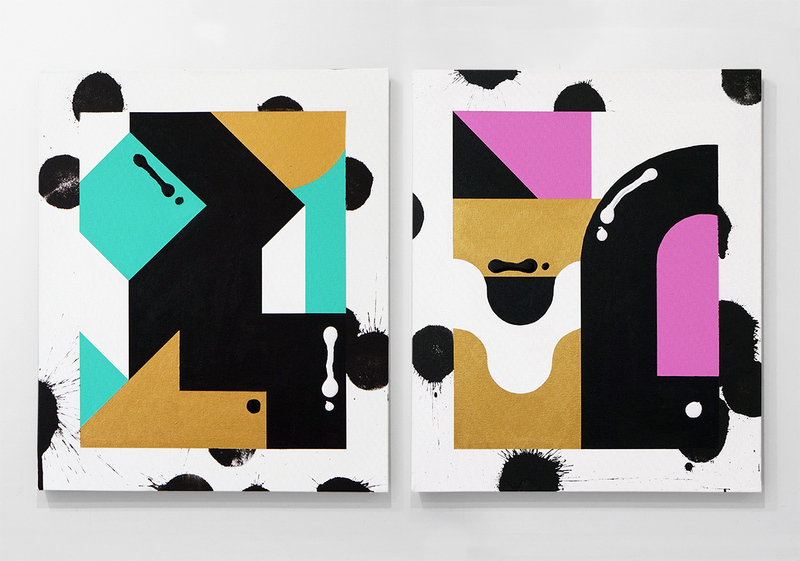 These two new abstract paintings are currently available here, for those of you looking to give the a new home!